Terrific stand-alone and series fiction from established authors and new ones; books for boys and girls, for younger and older readers, high-concept titles and inspired literary fiction. This is an enchanting series from author Sue Mongredien, perfect for children, particularly girls of 7+. When Molly Holmes and her family move to Horseshoe Bay to live with her grandmother, Molly is delighted to receive a pretty shell necklace as a present. But it is no ordinary necklace for it unlocks the door to a magical underwater life - a world where Molly joins the Shell-Keeper mermaids for some magical mermaid adventures whilst the rest of the world sleeps. There are 6 adventures in all with The Enchanted Shell being the first one. Why not follow Molly's further adventures with mermaids Ella, Pearl, Delphi, Coral and Shivana as they help keep the oceans safe from the evil magic of Dark Queen Carlotta. To view all the titles together go to Sue Mongredien's author page. For even more information on The Secret mermaid series then click here, or if you’d like some Secret Mermaid e-cards, they are available for children to send secret messages to their friends by clicking here. A piece of passion from the Editor:I adore plunging into the enchanting underwater world of The Secret Mermaid series. By day, Molly Homes is just like any other girl, but by night she becomes a shell-keeper mermaid on a magical mission – the perfect read. Geraldine McCaughrean is a genius in her ability to draw the reader in to a part of history that might not immediately spring to mind as being of interest and yet she makes you hungry for more. Here she draws upon a violent period of India’s history and interplays that history with a wonderful friendship that develops despite horrific dangers. 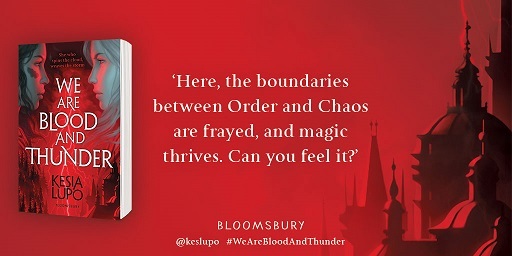 The characters are brilliantly drawn and the sights and smells of time and place are so well described you feel you are there - on the battlefield, on the plains, and in the cities. It’s something entirely different from McCaughrean’s most recent novel, Peter Pan in Scarlet, the sequel to Peter Pan but it is equally compelling. A Piece of Passion from the Editor: Geraldine McCaughrean is the King Midas of writers – everything she touches turns to gold! I didn’t know anything about the ancient ruler, Tamburlaine, but in this book she transported me to an exotic and faraway world of intrigue, danger and, ultimately, friendship. A poignant and moving story that is ultimately uplifting about friendship triumphing over adversity. Funny, touching and inspirational yet cleverly mixed with some scary and tragic moments, it is the story of Max who is considered big and stupid who everyone is scared of and Kevin, a boy who never grew beyond 3 foot tall who is always being laughed at. But greatness comes in all sizes, and together Max and Kevin become Freak the Mighty and walk high above the world. Comment from the author, Rodman Philbrick:"I believe that we have the ability to change our lives using our imaginations. Imagination is a muscle – the more you use it, the stronger it gets." A piece of passion from the Editor:Quite simply one of the best books I’ve ever read. It makes you laugh and cry in equal measure and its two extraordinary characters are completely unforgettable. A great modern classic. The hilarious confessions of very-nearly-teenager Lucy, wannabe fashion designer and stand-up babe! 9+ girls will love it. Readers will find out all about Lucy Jessica Hartley’s exciting life and the stuff that happens in it. She’ll even tell you secret things that only her best friend Jules knows, and sometimes things that not even she knows! In Makeover Magic, the first of 10 titles in the series, Lucy tries out her makeover magic on the shy new girl at school. To view all the titles in the Totally Lucy series please go to her author page on Lovereading4kids A piece of passion from the Editor: I totally love Totally Lucy. Kelly McKain’s vibrant voice jumps off the page, getting right to the heart of what ten-plus girls are interested in – best-friend dilemmas, bra-size embarrassment, secret crushes and parent troubles. 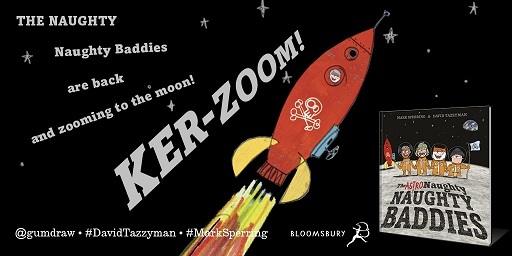 A riotous read that you can't put down! The independent publisher Usborne only branched out into fiction 5 years ago, but has already established itself as a beacon of excellence in the storytelling world. Drawing on best-selling authors as well as terrific new talent they've nurtured themselves, Usborne has won huge popularity and critical acclaim with their diverse and wonderful children's titles. 2009 sees a number of debut authors joining the list as well as new titles from some esteemed authors including Graham Marks, Linda Newbery and Tony Bradman, to name but a few. There is some new series fiction as well to join up with established series such as Oliver Moon the boy wizard and the Secret Mermaid. As part of the anniversary celebrations Usborne has set up a Young Writers’ Award, to give children an opportunity to write a story with a real author. Just click here and you can read the five starter stories from some terrific authors in full, and then you can download your favourite and get writing. There are some terrific prizes on offer too. Internationally, Usborne books have been translated into nearly 90 different languages and are available worldwide. 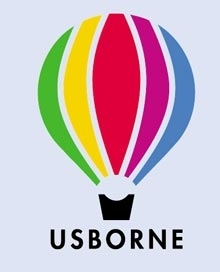 Usborne was founded in 1973 by Peter Usborne, who pioneered a new range of entertaining, colourful non-fiction books, loved for their fact-filled fun and humour. He also developed a 'Reading Programme', graded in seven levels from 'beginner' to 'confident reader', which is still highly regarded by parents and schools. With the addition of Fantastic Fiction, this publishing house is definitely one to trust. Finally, Usborne’s commitment to investing in the future through the children who read, learn from and treasure Usborne books has been tireless. They are also one of the relatively few publishers who guarantee that every single Usborne book is produced responsibly, ethically and safely.